How do I search for organizations on a Giving Day? 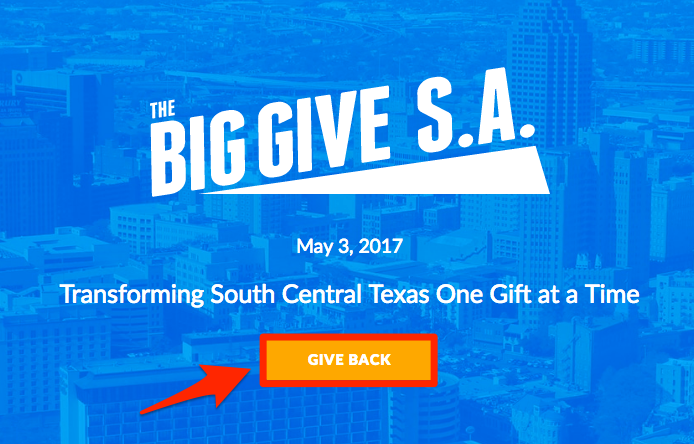 On the main landing page for your Giving Day, click the "Give Back" button to begin searching for participating nonprofits. After clicking "Give Back" you'll be directed this page where you can search for organizations that are participating in the Giving Day. Keyword - Search by organization name, mission, cause or any key words that you're looking for. Location - Search by city, zip code, or state. Cause - Search for organizations serving a specific cause be selecting one of the causes from the drop down menu. Once you've refined your search, click the "Search" button and view your results.